After working in the digital consulting world for over 10 years, we realized that data was growing at an exponential rate and that search technologies weren’t keeping pace. Bravo started with the idea that a rock-solid site search is essential for any website that has a lot of content, specifically content that may be unstructured. And looking at the web development landscape, we saw that most CMS and eCommerce platforms offer very poor search native or bolt-on search capabilities. So we set out to offer an enterprise level alternative that didn’t break the bank and didn’t take a herculean effort to implement. Enter Bravo. Our team consists of data scientists, coders, and User Experience gurus, and they have been leveraging the latest technologies to develop the best-in-class search product that will serve the needs of Associations & Businesses across the globe. Our goal is to continuously improve the core product, while providing the very best customer service to our customers, ensuring that we our helping our customers better serve their customers. Bravo combines a best-in-class search engine along with the ability to bring data in from multiple disparate sources (Federation) and automatically classify content according to a Client’s taxonomy. And the underlying foundation is the Elastic Cloud, so our customers continually receive the benefit of innovation happening with Elastic. With multiple pre-built integrations and Bravo being an agnostic engine, Bravo can design and implement the ideal enterprise search solution for any website, regardless of the technology stack. 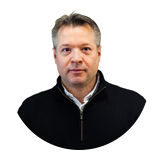 Dave is responsible for the strategic direction of Bravo and has been in the space for over 15 years. 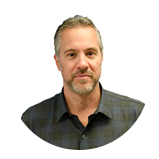 Prior to Bravo, Dave founded the successful digital agency, BlueBolt, which has served over a hundred clients in various industries. It was through this experience that Bravo was born. 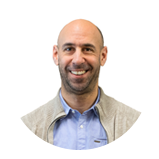 Jason is responsible for overseeing the product development and ensuring that the development and infrastructure teams are executing on the strategic Bravo roadmap. Prior to Bravo, Jason was a co-founder in BlueBolt as well. Chris sets the overall product direction for the suite of Bravo products and leads the marketing efforts for the company as a whole. Prior to Bravo, Chris was a co-founder in BlueBolt as well.